As I still could not use the fire today, I decided to return to the milling experiment. Though I managed to more or less calculate the time it took for me to mill a certain amount of grain, and I could conclude that I needed to put the grains through the quern at least six times. 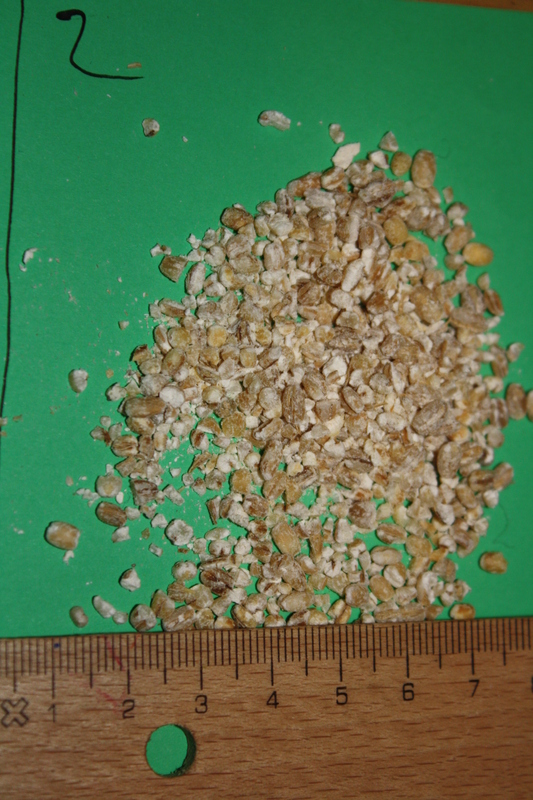 However, in order to reach a more scientific conclusion and to be able to use the quern not only to mill flour, but also grist and other sizes that could be used for other things than baking, I decided to document the varying sizes that the barley displayed after each turn. 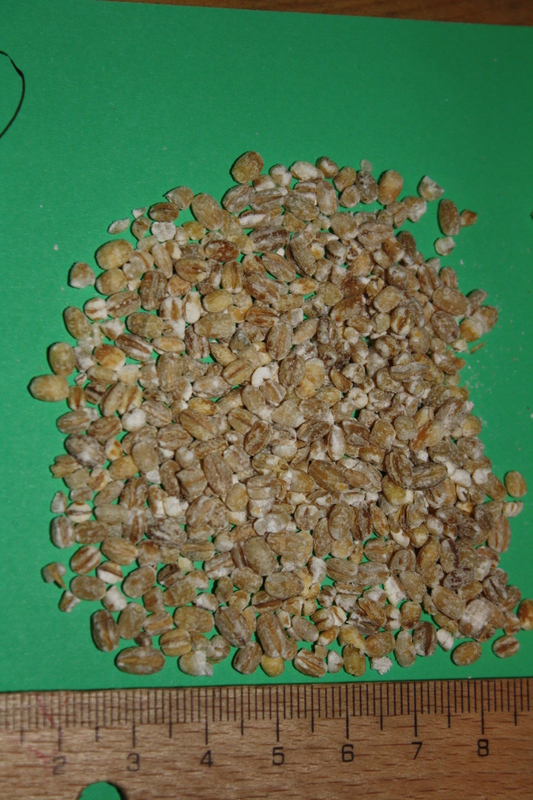 Although I settled on six millings last time, it was not so clear cut, though each additional milling would produce a finer and finer flour, there was always some coarser grains in the mix. In order to gain a fine flour with no coarser pieces one would have had to sieve the flour. On the other hand, if one were to sieve the flour, already the fifth milling would have produced a product that would have been usable, though there would have been a larger amount of pieces that should be returned to the mill. The only problem is that I do not know of any surviving find of sieves from this early period. Today I attempted to clock my proficiency at milling. I had done some minor milling exercises using the hand quern here, but despite claiming that milling with a hand quern was hard work that would only produce a limited amount of flour, I had no real experience of that myself. In order to get some more experience of this activity I decided to make a simple time observation exercise. I intended to mill 500 grams of barley seeds without hull. Since the flour was nowhere near being fine enough to be baked after a single visit to the hand quern the grains had to be milled several times. This gave me the opportunity to make a sort of statistical observation of the time used to to mill this amount of barley. All in all I managed to mill all the grains in about 4 minutes, the first round taking about five minutes and the last one three. In order to get the grains fine enough to be possible to be baked into a bread I had to mill it six times and I was still thinking that it should could need another go in the quern. Still if I were to maintain this speed I should have been able to mill about 12 kg of barley on a 10-hour day, quite possibly enough to feed a rather large household. A person skilled at this craft and with the efficiency of a large-scale production could probably even double that amount. However, even for someone trained at this task and with a less frail body than mine such a long work session would prove rather cumbersome and difficult to maintain. And while 10 -20 kg of flour can seem as rather much, I would still maintain that this method cannot provide enough flour to support a food economy in which flour is milled rarely and the bread is stored for a rather long time. Such a strategy would not appear until the emergence of watermills and similar constructions.